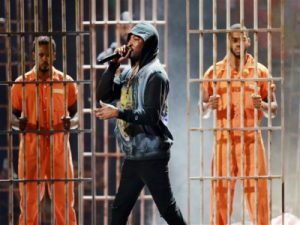 Meek Mill debuted a powerful new song titled "Stay Woke" Sunday night at the BET Awards, the rapper's first music since he was released from prison in April. The track opens with the rapper interpolating the socially-conscious 1982 rap classic Grandmaster Flash & the Furious Five's "The Message." Meek Mill tackles an array of heavy topics, including police brutality, his own legal troubles and standing for the National Anthem. Stay Woke – Meek Mill Feat Miguel ringtone is Rap - Hip Hop ringtones free for your mobile. You can be easily downloaded for free from our site! Install it on a call and let you enjoy it with every new incoming call.